Former Artistic Director of the Kraków Philharmonic Orchestra, Dworzyński returns to the international podium in the 2018/19 season. Artist Management Worldwide is delighted to announce that acclaimed Polish conductor Michał Dworzyński joins its roster for general management. Dworzyński is potentially a force to be reckoned with... he gradually settled into an account of [Dvořák Otello Overture] that was beautifully shaped, sensual and nostalgic. The Eighth Symphony, meanwhile, was all sweeping grandeur and heart-on-sleeve emotionalism, shot through with moments of fiery aggression and dynamic elation. Dworzyński is real firecracker of a conductor, a real energiser… Rachmaninov’s Second Symphony… received a magisterial, full-blooded performance from the SSO, with Dworzyński completely eschewing the glamourised, Hollywood-style interpretation…, producing instead genuine urgency, a dark almost melancholic richness of emotion and boundless passion. The London Philharmonic were in fine fettle for Penderecki's Violin Concerto No.1, where they and their Polish conductor Michał Dworzyński did a fine job of capturing the work's fraught, tightly bound texture and the imploded lyricism of its constantly evolving melodic material. Polish conductor Michał Dworzyński made Thursday afternoon’s concert of familiar pieces an exhilarating occasion. Prokofiev’s Classical Symphony had a robust sense of confidence and vigour, and the CBSO’s sparkling strings excelled in the high-speed bustle of the finale, along with pattering timpani, chattering woodwind and pervading high spirits. Most impressive was Dvořák’s New World Symphony – approached with symphonic rigour as well as long-breathed lyricism. The largo was tender and simple with beautifully controlled string playing. This was a gripping performance with all the power and dramatic drive that this great piece demands. Michał Dworzyński came to international prominence in 2006 when he won the Donatella Flick Conducting Competition in London. 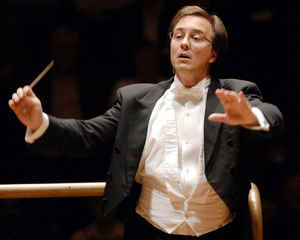 Subsequently, he held the position of Assistant Conductor of the London Symphony Orchestra, collaborating closely with Valery Gergiev and Sir Colin Davis. Dworzyński studied conducting with Antoni Wit at the Warsaw Academy of Music and Christian Ehwald at the Hochschule für Musik „Hanns Eisler” in Berlin. Between 2000 and 2002 he served as Assistant Conductor of the Polish National Radio Symphony Orchestra in Katowice. In 2002 he was awarded Second Prize at the International Prix Credit Suisse Conducting Competition in Grenchen, Switzerland, and went on to become the winner of the international conducting competitions in Zagreb and Suwon in South Korea. Dworzyński has worked extensively in the UK appearing frequently with the London Symphony Orchestra as well as London Philharmonic, BBC Symphony, BBC Scottish, BBC National Orchestra of Wales, CBSO, Royal Liverpool Philharmonic, Northern Sinfonia and the Bournemouth Symphony orchestras. He also made successful debuts with the leading orchestras across Europe including Orchestre National de Belgique, Orchestre Philharmonique de Strasbourg, Tonhalle-Orchester Zürich, Rundfunk Symphonie Orchester Berlin, Netherlands Radio Philharmonic, RTVE Madrid, Swedish Radio Symphony, RTÉ National Symphony Dublin as well as Iceland Symphony and the Israel Philharmonic among others. Some of his most successful collaborations took him to conduct Tokyo Symphony, Tokyo Philharmonic, Nagoya, Osaka and NHK symphony orchestras in Japan as well as Johannesburg Symphony, Auckland Philharmonic, Tasmanian, Adelaide and West Australian symphony orchestras. 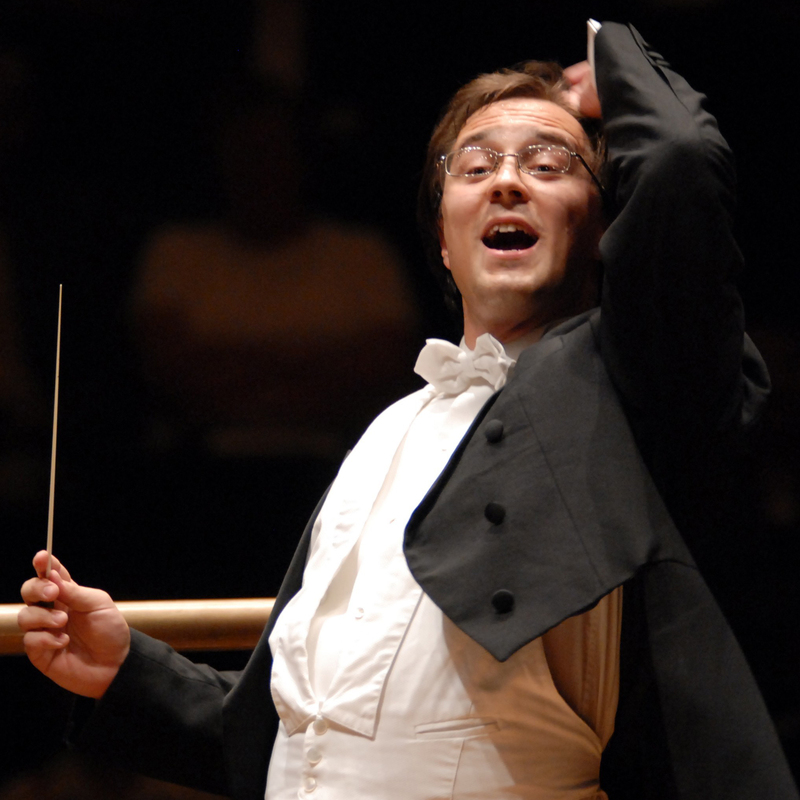 Dworzyński has frequently appeared with the Warsaw Philharmonic Orchestra including on tour in Europe and Japan. In addition to purely symphonic work, he conducted at the Kraków Opera, Warsaw Teatr Wielki, Opéra de Lyon and the Royal Swedish Opera. Michał Dworzyński has received notable recognition for his advocacy of Polish music. He has frequently taken works of Lutosławski to the UK festivals in Cheltenham, Belfast and St Magnus, and has made his debuts with the Israel Philharmonic and the Netherlands Radio Philharmonic conducting Górecki’s Symphony No. 3. He also brought Szymanowski’s Stabat Mater to an international audience at the Amsterdam Concertgebouw. In 2010, he gave the UK premiere of Roman Maciejewski’s Requiem with the BBC Symphony at Westminster Cathedral. In 2009 Hyperion Records released Dworzyński’s first CD album of Hermann Goetz and Józef Wieniawski’s piano concertos recorded with pianist Hamish Milne and the BBC Scottish Symphony Orchestra. His next CD release with Hyperion of violin concerti by Emil Młynarski and violin miniatures by Aleksander Zarzycki was recorded with the violinist Eugene Ugorski and the BBC Scottish in 2013. Both albums met with high critical acclaim. Michał Dworzyński was Principal Conductor of the Beethoven Academy Orchestra in Kraków and Principal Guest Conductor of the Yamagata Symphony Orchestra in Japan. Between 2013 and 2015 he was Artistic Director of the Kraków Philharmonic. Since 2017 he holds the chair of Associate Professor at the Music Academy in Bydgoszcz where he teaches orchestral conducting.